The Autumn Years is live! … And that’s basically all we wanted to say. Hope you like it. We put in a lot of effort in it. The second free update of Bumpy Road is now official! – The Spring Evergreen Ride gets company with a new road to travel: Evergreen Ride Autumn! – 220 new level segments and 3 new types of platforms: Elevators, Conveyor Belts and Flips! – New background art and city parts! – New Game Center achievements and leaderboards! Clickywicky for a hands-on from TouchArcade! Bumpy Road – The Autumn Years is coming out this month. Stay tuned for an exact date! 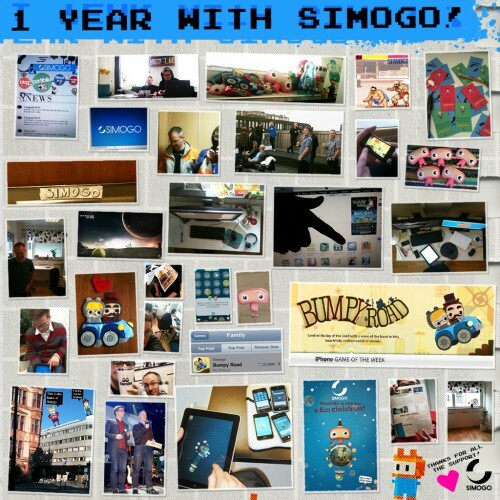 Simogo has soon been around for one year. Can you believe that? Time sure flies. 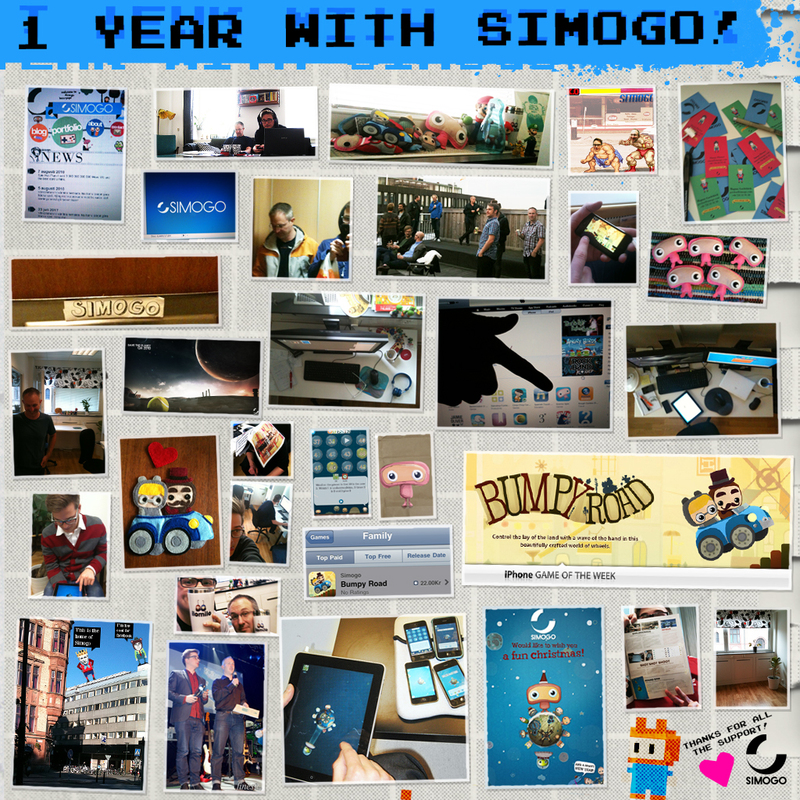 We thought it might be cool to do a little round-up of what’s happened and what we’ve accomplished during this year. Here goes! 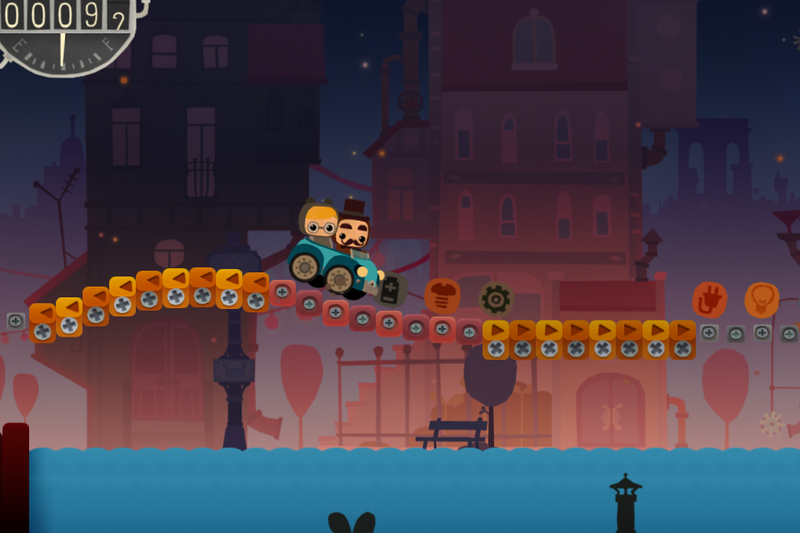 – In December 2010 we released our first game – Kosmo Spin! – Kosmo Spin was named Swedish Casual Game of the Year at “Dataspelsgalan” and was nominated for Best Nordic Handheld Game in the Nordic Game Awards. – We released Bumpy Road in May 2011. 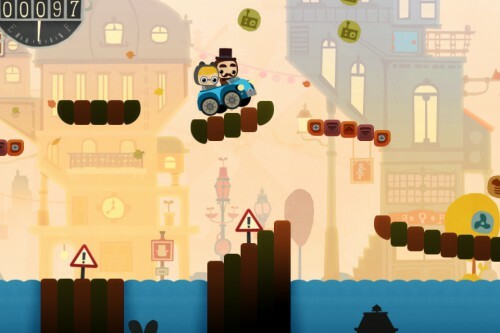 – Bumpy was Apple’s game of the week in the App Store when released. – Sales have been good and we can finally make a living out of making our own games! – We released the Sunday Trip Deluxe update for Bumpy Road in June. – We’ve wrapped up The Autumn Years Update – it will be out soon! – A Mac version is in the making! – We worked on a pitch for a digital picture book. 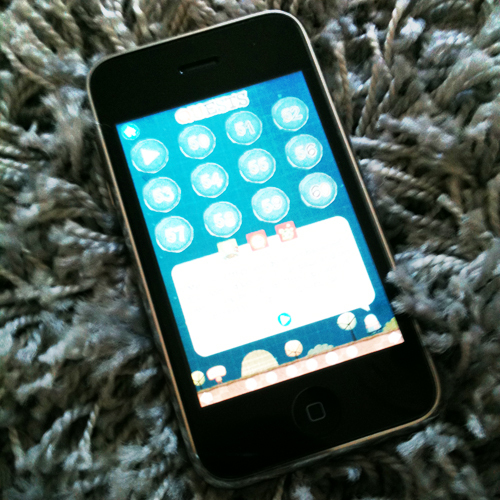 – We made a GPS app thingamabob with some small gaming elements. – We’ve toyed around with several pitches. “Tree”, “16Games”, “Scroom”, “Emma & the Topsy Turvy Toad Tower”, “Halma”, “Ghost Story”, “Human Rope”, “Is it spring” are some of them. – A console version (with some nifty exclusive features) of Bumpy Road was planned together with a publisher, but it looks like it isn’t happening now. The upside of this is that we can use those ideas for our own stuff now! And we can do what we enjoy most – new and original games, without the interference of evil men in ties. So now you’re asking, how are we celebrating this year of absolute creativity and brilliance? By making our first baby Kosmo Spin free for a couple of days. That’s right. FREE. Clicky clicky and Enjoy! A sunny Saturday in Malmö, one week from a well deserved vacation and out of nowhere the Kosmo Spin update is live! We’ve added 12 new quests and 30 completely untrue statements about cosmos and the most important meal of the day on the brand new “Space & Breakfast facts” page. The last background time was popular so we made another one!